I like to serve this ice cream topped with caramel sauce. 2. In a medium saucepan, whisk together the granulated sugar, salt, and cornstarch. Add the brown sugar and maple syrup, mixing well, then stir in the egg yolks. Gradually blend in the whole milk until thoroughly combined. 3. Cook the mixture, stirring constantly, until it reaches 170°. 5. While the custard mixture is chilling toast and cool the pecans. 8. 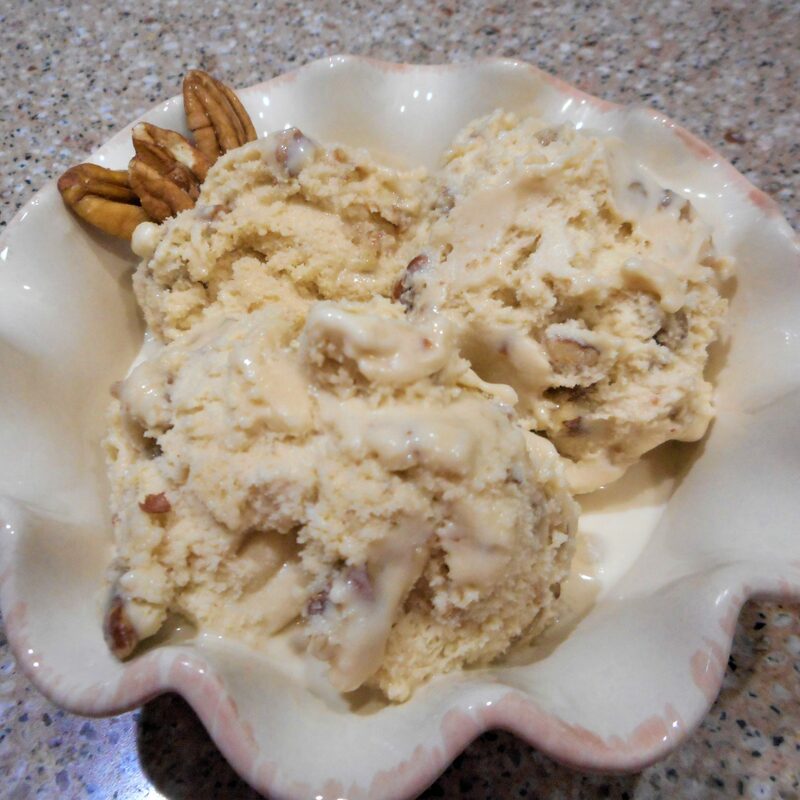 In a medium size mixing bowl combine pecans, butter, sugar, and salt, mixing well. 10. When the mixture has chilled add the toasted pecans, heavy cream, vanilla, and vodka to the custard. Freeze according to directions for your ice cream maker. 11. Transfer the ice cream to a freezer container and freeze until firm.